Modern home fireplaces often come supplied with a set of glass doors, but many homeowners prefer the look, feel and sounds of an open hearth. 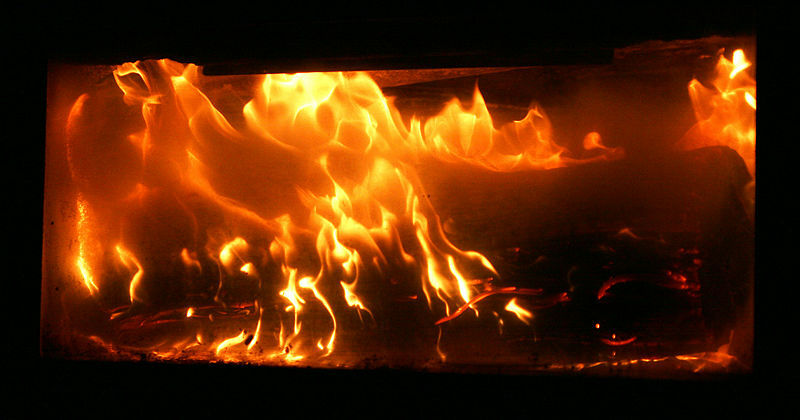 Removing the glass panels may seem tricky because they appear firmly mounted in place, but most fireplace doors are designed for easy removal in case the glass becomes cracked or needs more extensive cleaning. Glass fireplace doors are actually only held in place by a few screws and adjustable clamps. Locate the two L-shaped brackets at the bottom of your glass fireplace doors. These hold the door to the frame. It may be easier to find these brackets if you open the doors slightly and bend them out of the way. Unscrew each of the four screws from the brackets using a Phillips screwdriver. The doors will now be hanging by the lintel clamps at the top of the door. Use pliers to loosen the thumbscrew on the lintel clamps. Once loosened, you can unscrew them the rest of the way with your fingers. Take a firm grasp of your door as it loosens to prevent it from crashing to the ground. Unclamp the door from the top metal lintel bar where it's now loosely attached. You'll need to work with two hands, and you will have to tilt the door somewhat to get it unclamped. Remove the doors, being careful not to break the glass as you maneuver them out of the fireplace opening. Store the doors and mounting screws in a safe area. Juliet Johnson is a produced playwright and the author of "Somebody's Always Hungry." She's been published in "The Imperfect Parent," three anthologies, and is a regular blogger for Hometips.com and Haydenburri Lane. She graduated from NYU, and studied at the University of London and at Padua Hills Playwriting Workshop.